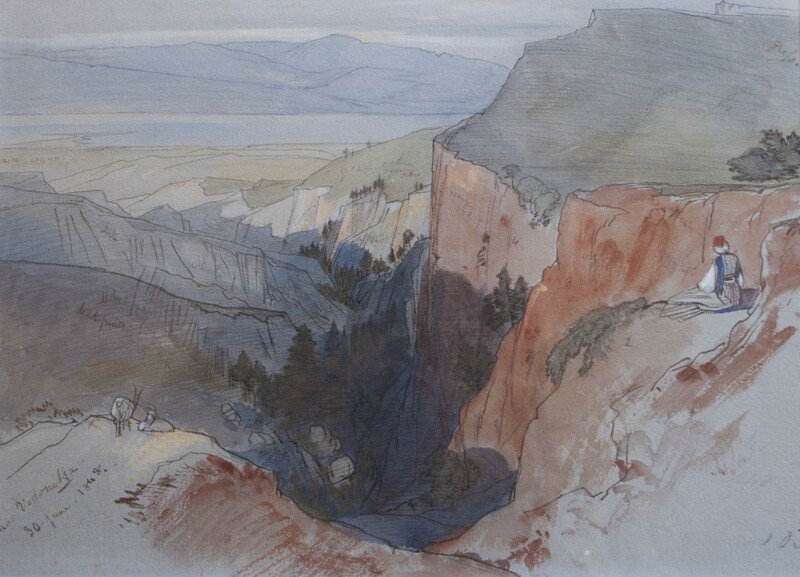 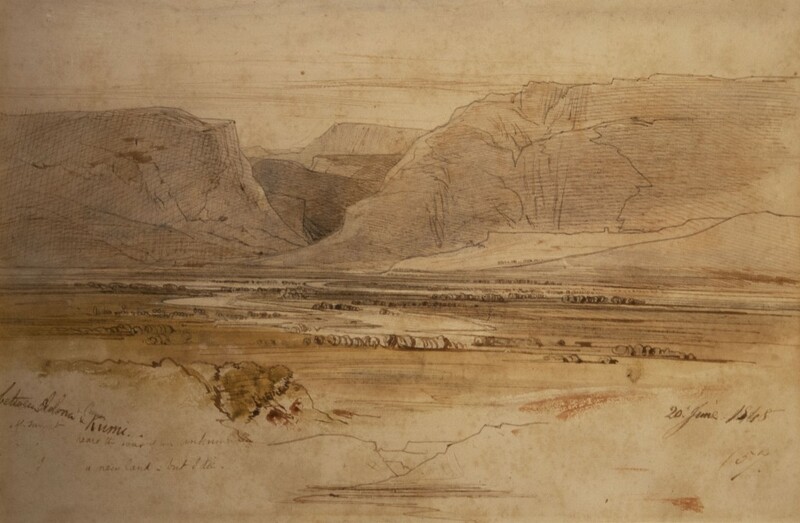 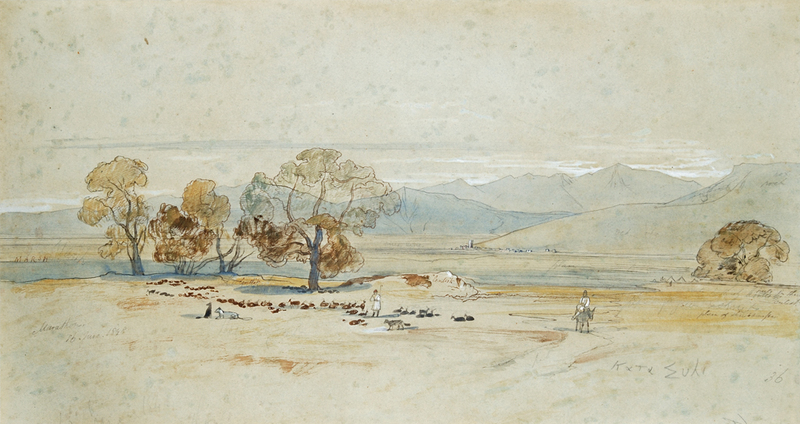 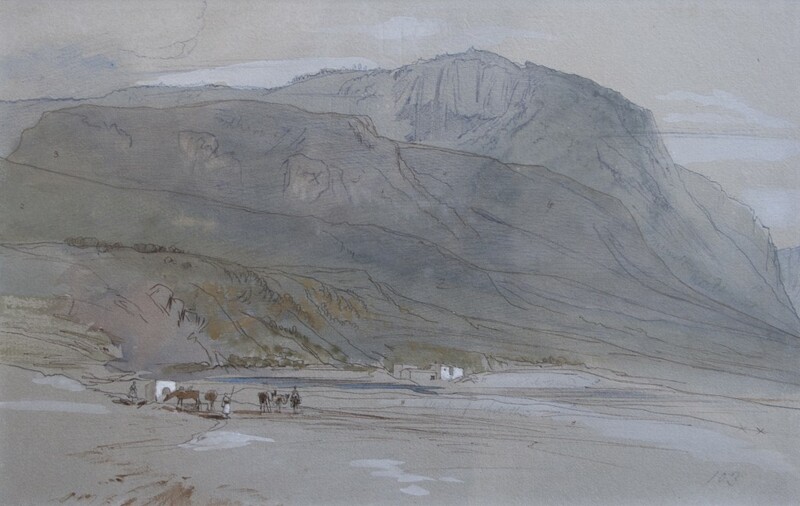 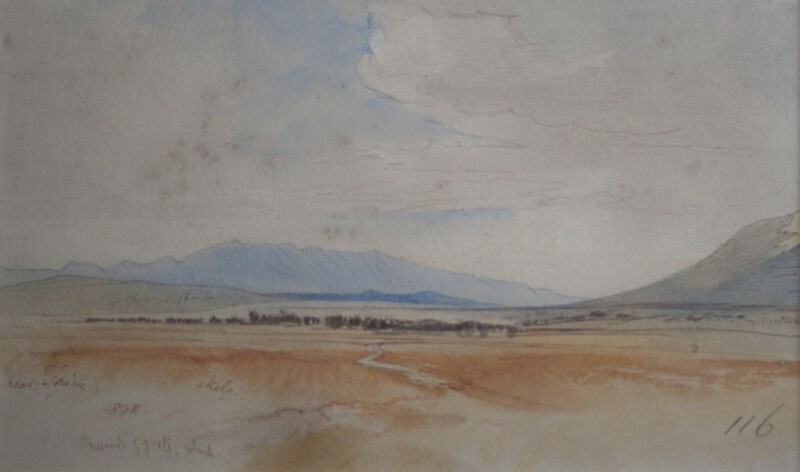 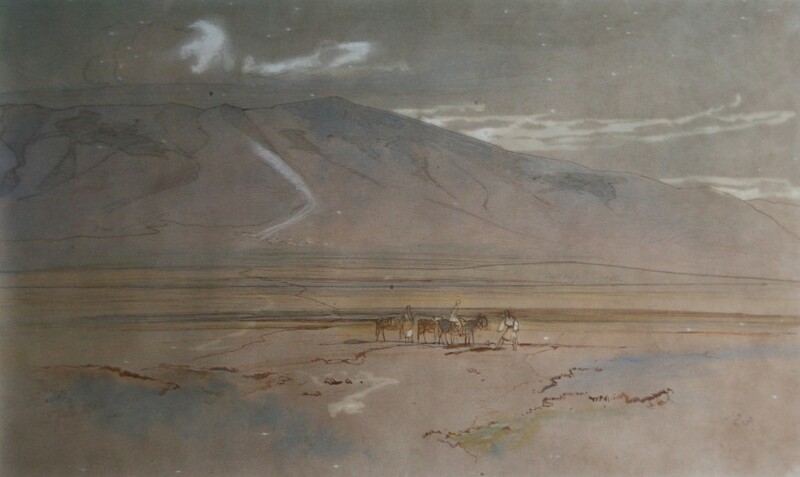 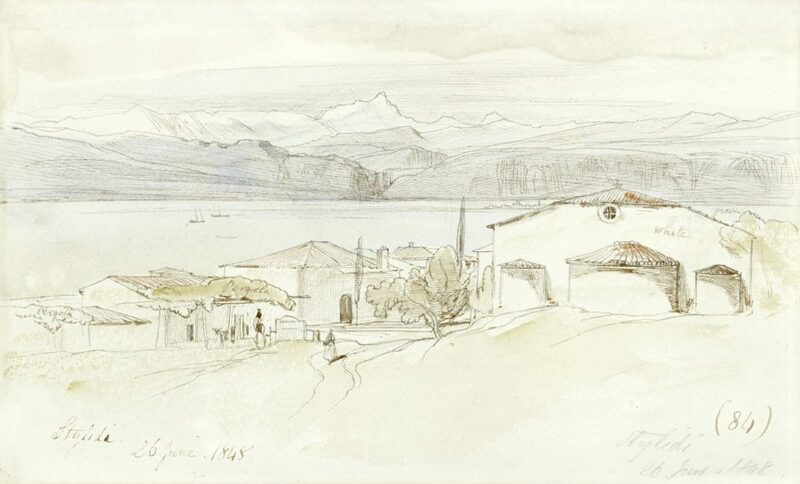 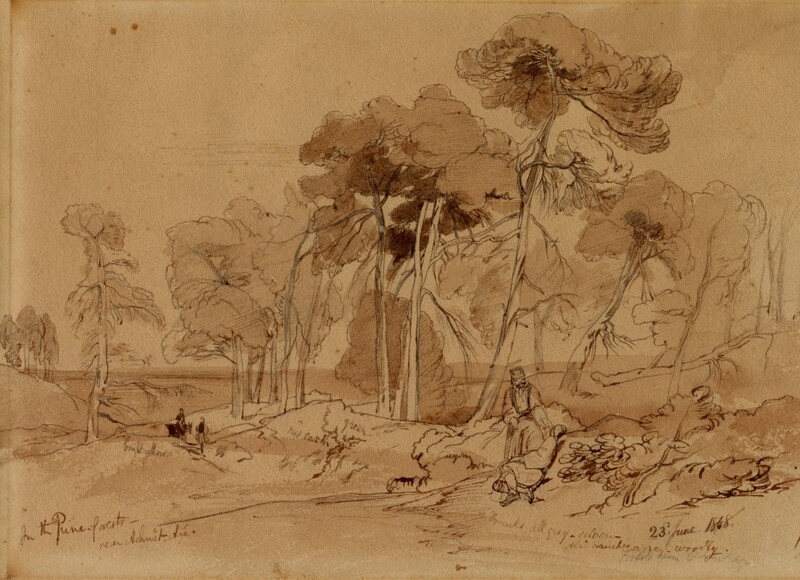 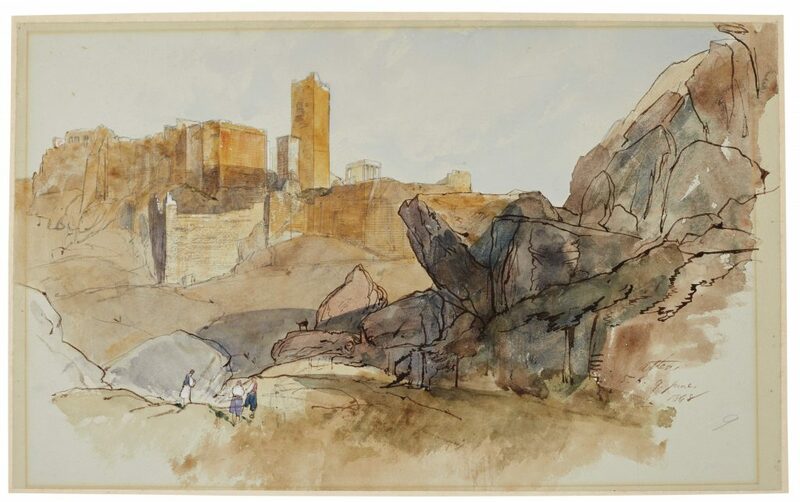 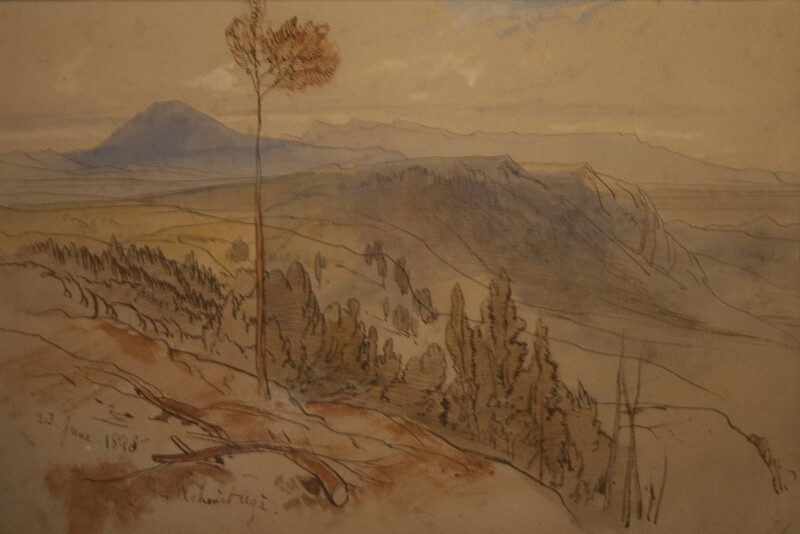 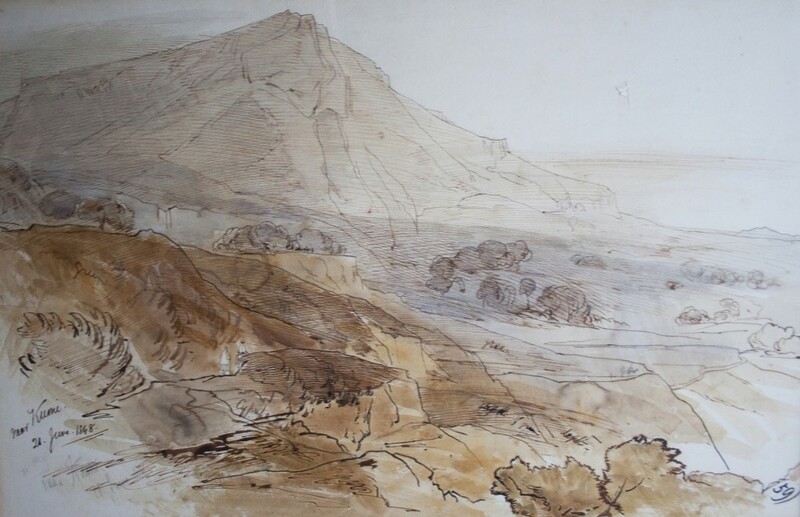 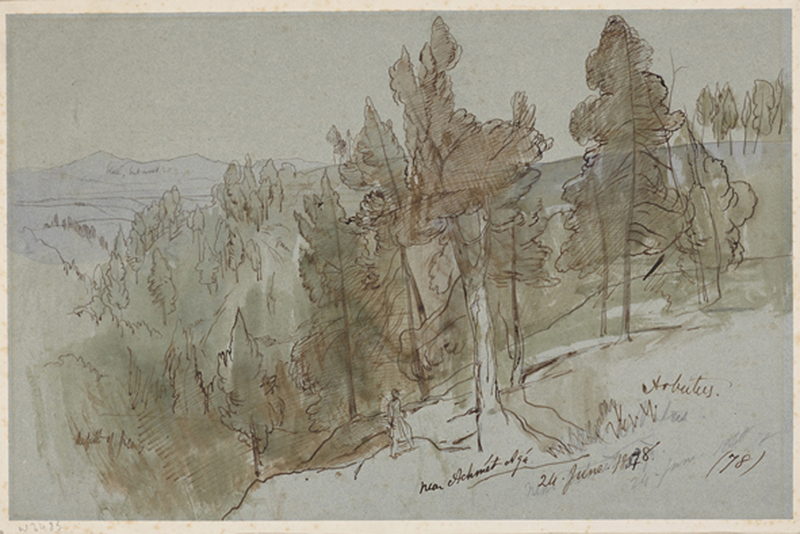 Lear is remembered as humorist, zoological draughtsman, poet and musician, but perhaps his greatest works are his beautifully-observed landscape drawings and watercolours. 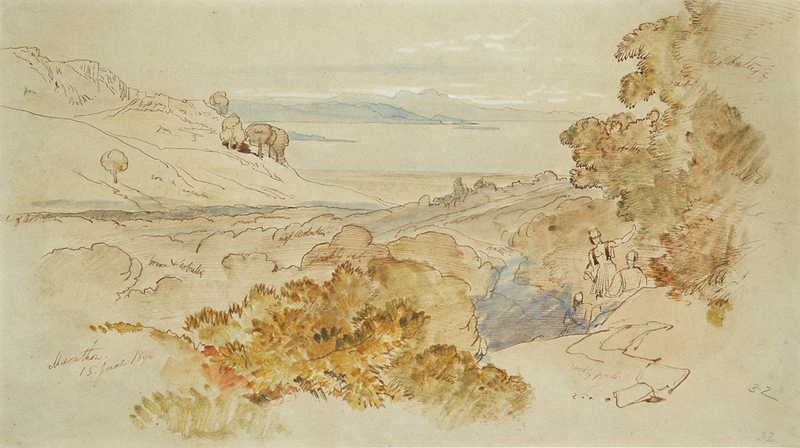 He began his career at the age of sixteen, drawing animals and birds in the London Zoo. 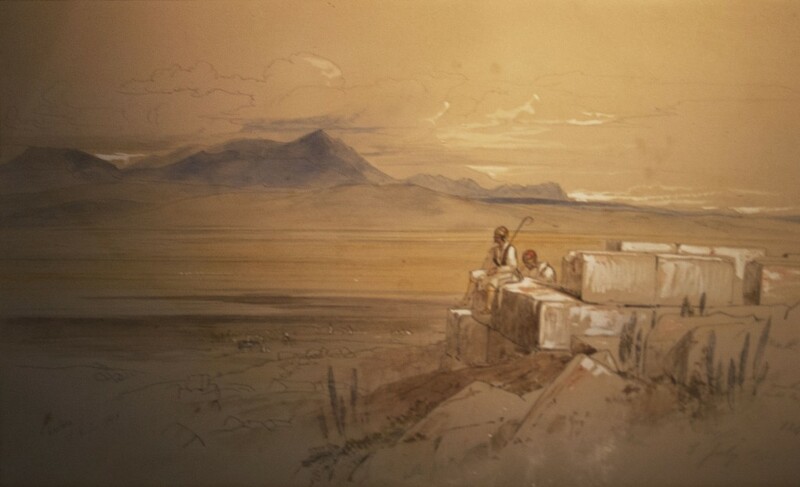 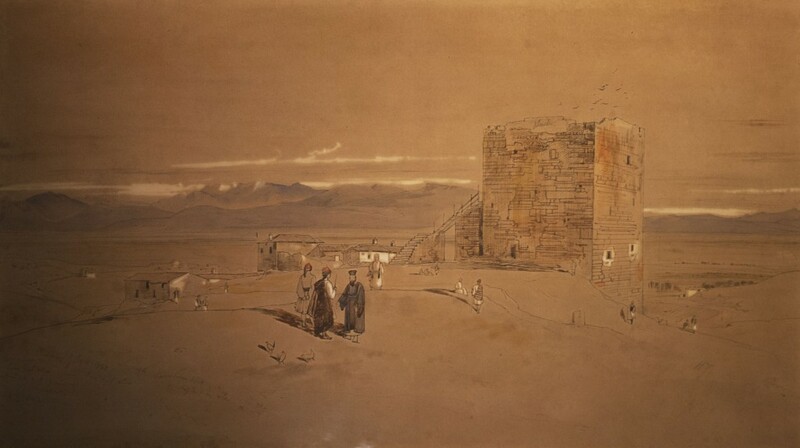 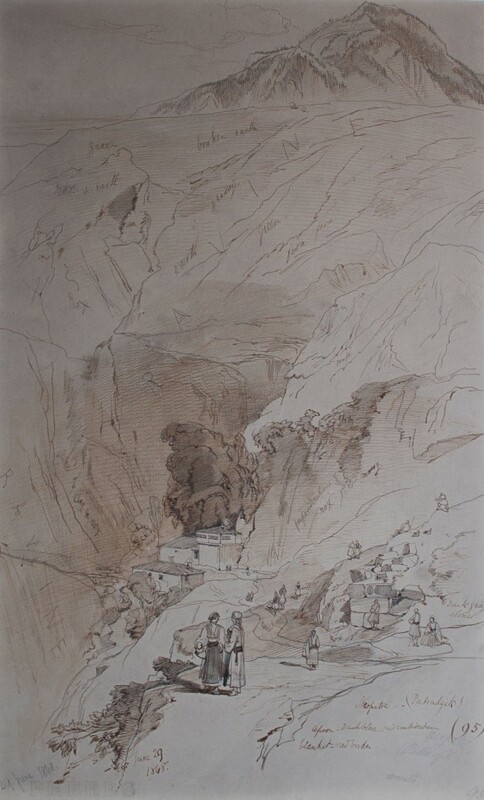 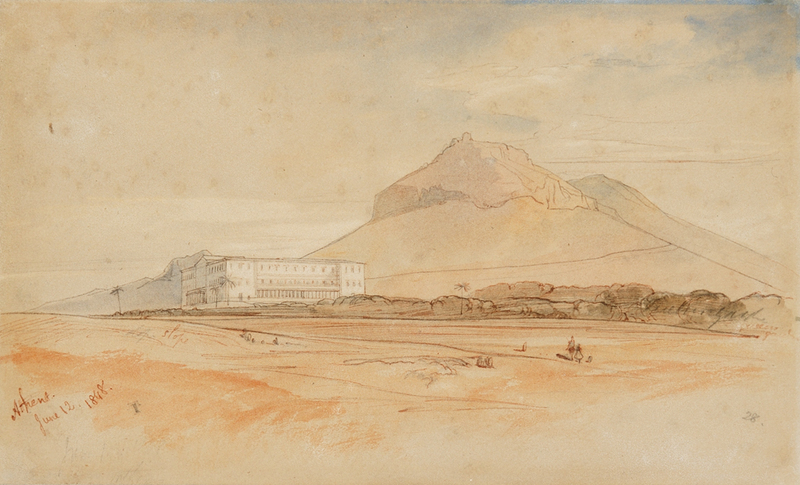 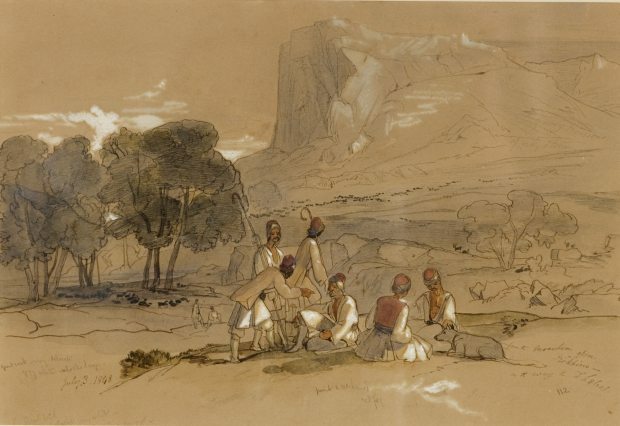 After 1837 he made his living as a landscape painter, travelling throughout Europe and as far afield as India in search of new places to draw. 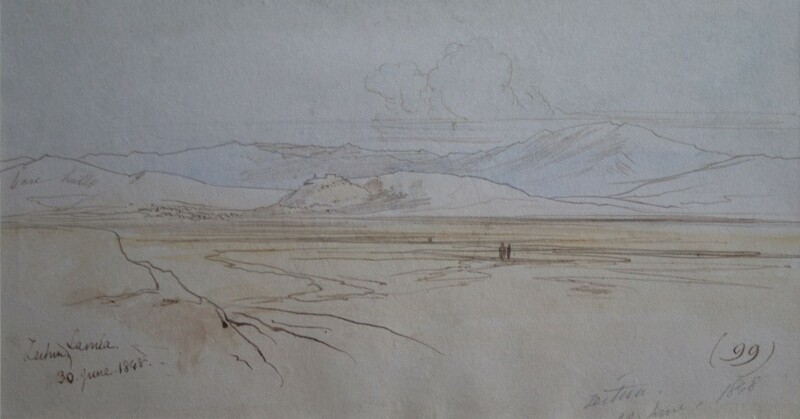 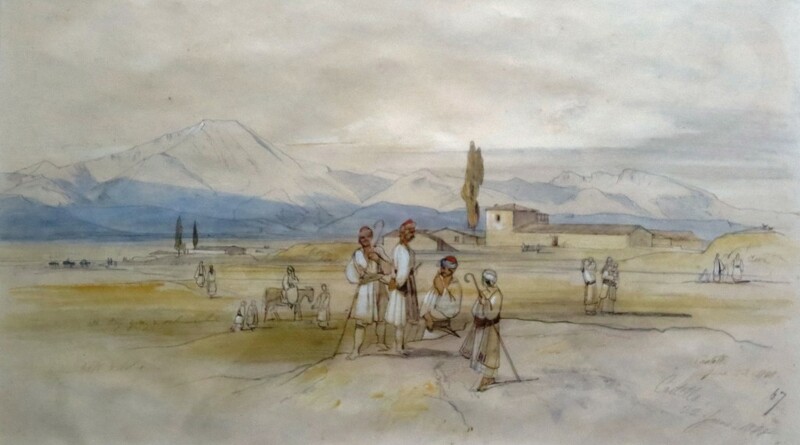 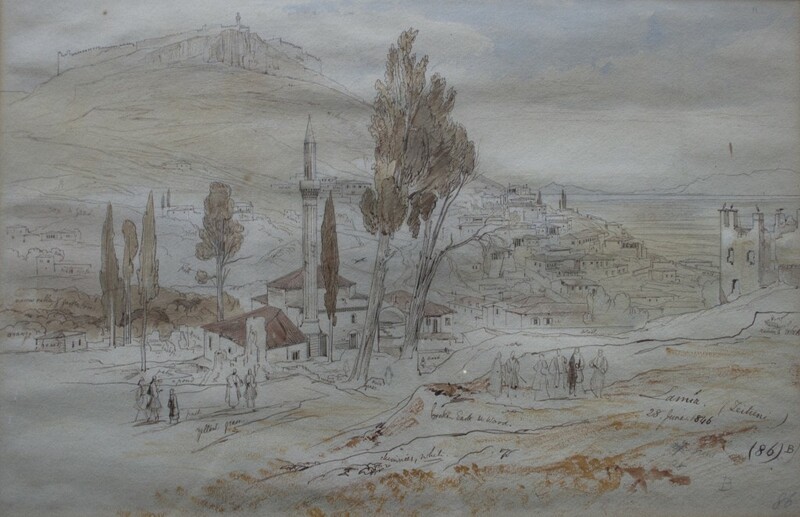 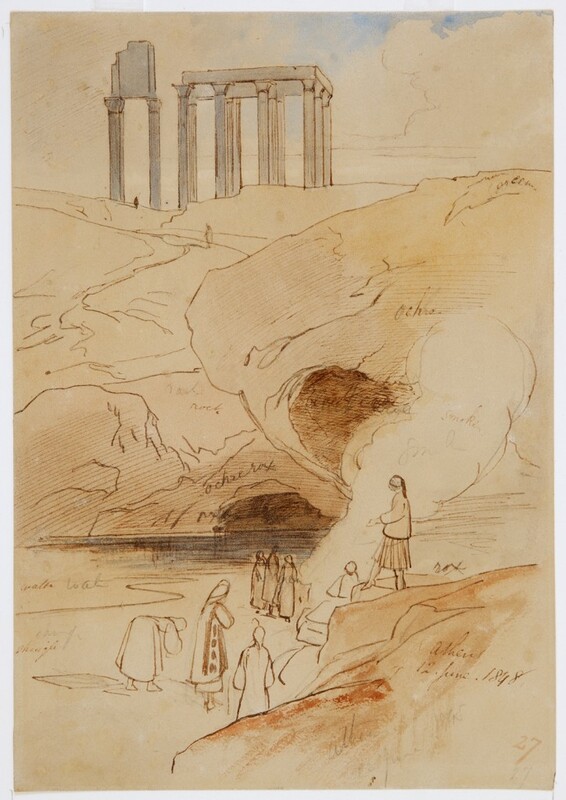 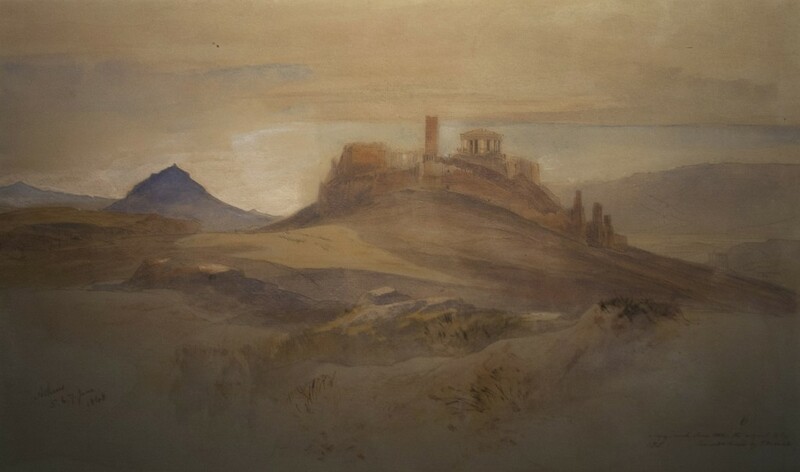 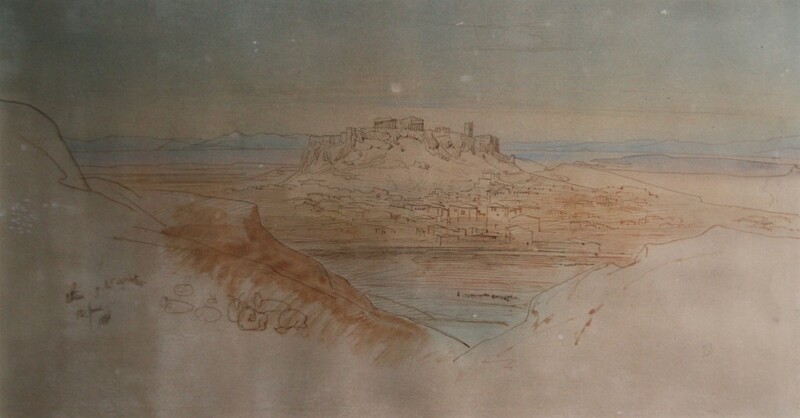 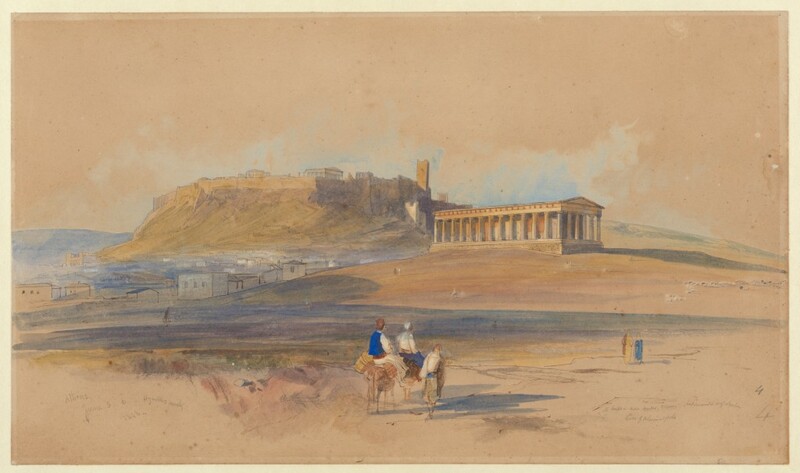 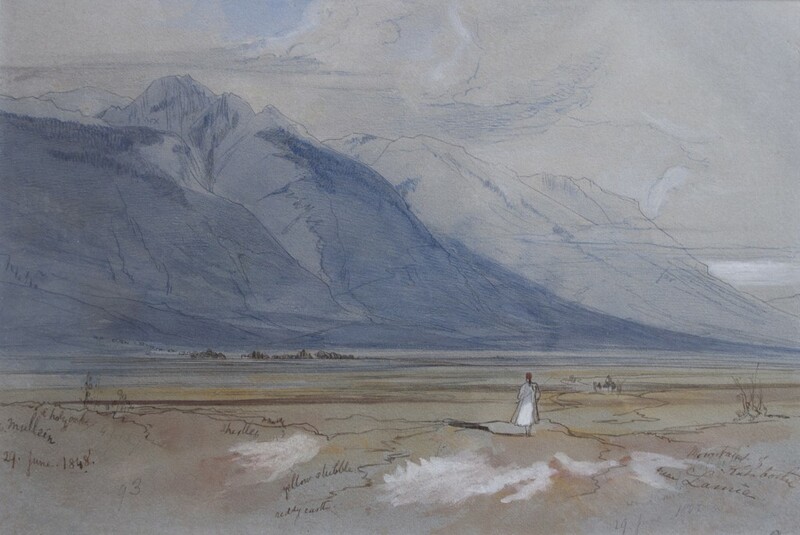 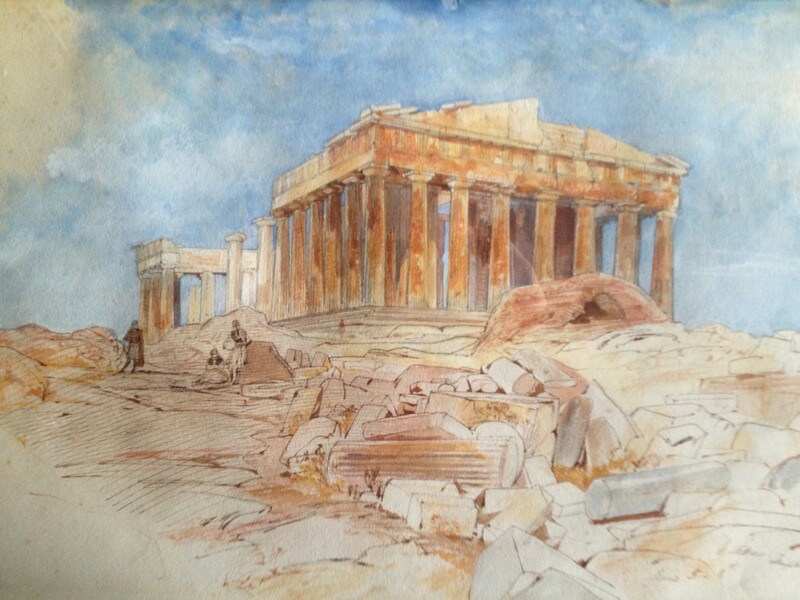 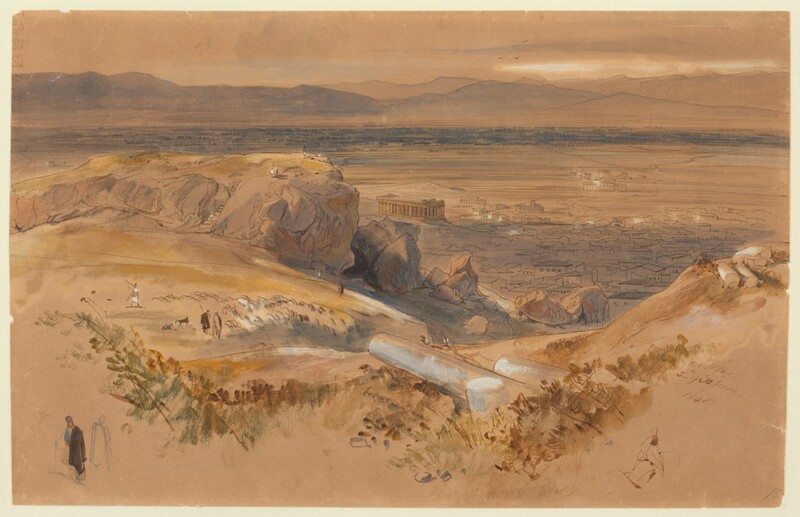 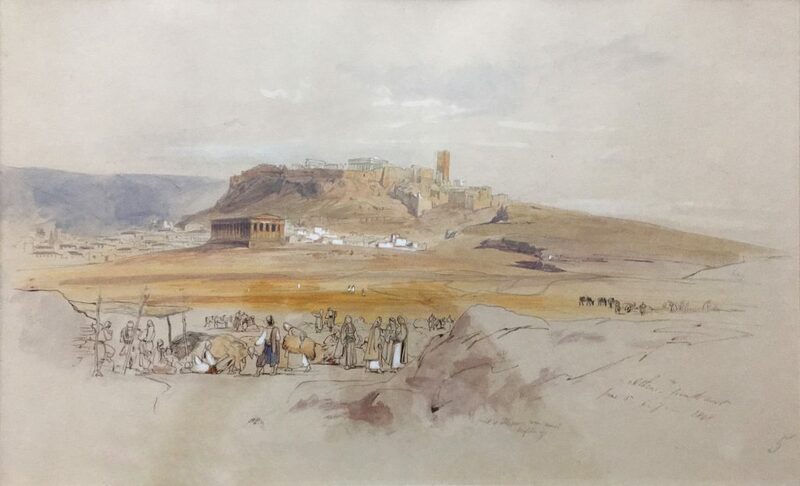 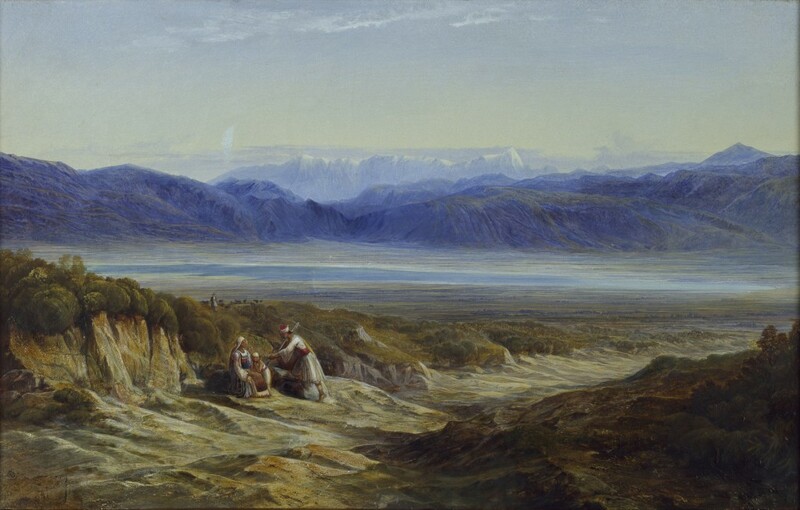 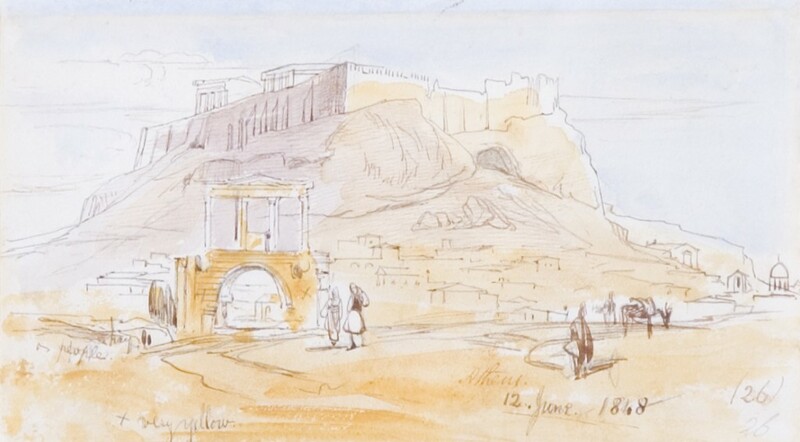 Lear’s journey with Charles Church in 1848 was his first visit to Greece; he later settled in Corfu and travelled widely in what is now Greece: his “polygraphic Hellenic proclivities” were to produce approximately 3,000 Greek drawings. 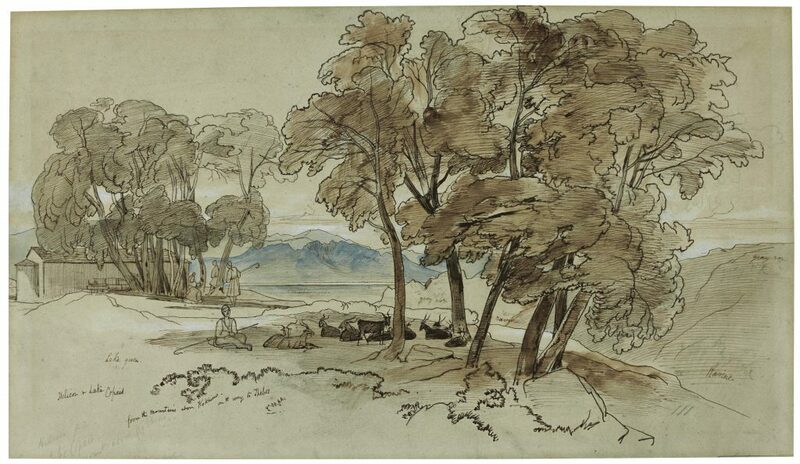 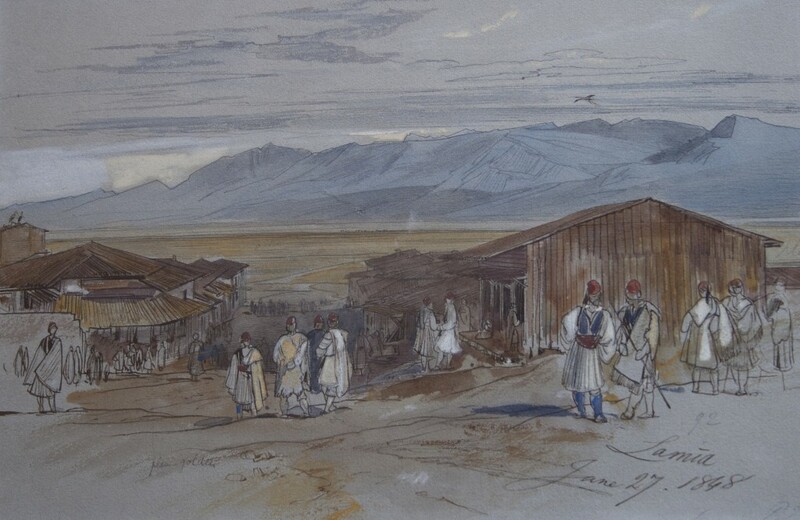 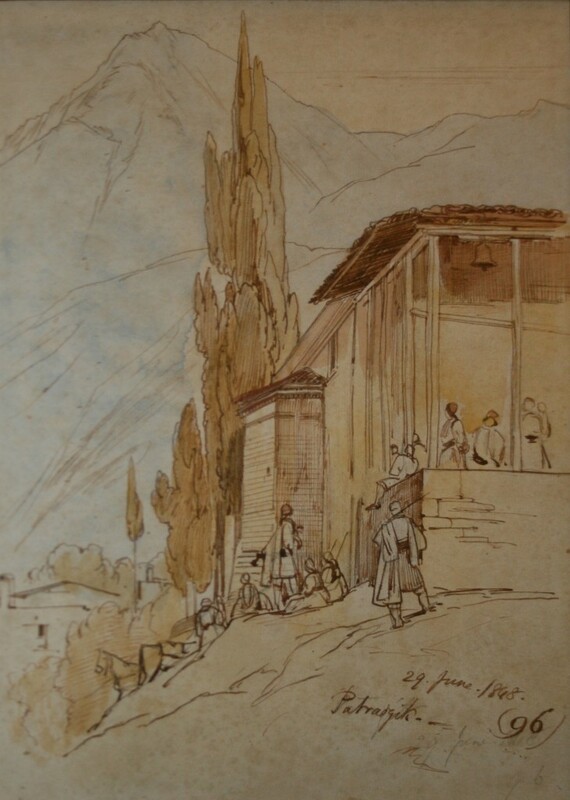 Lear sketched swiftly on the spot, scribbling notes on his preliminary drawings and numbering them; later, indoors, he would ‘pen out’, inking over his pencil outlines and adding colour wash. 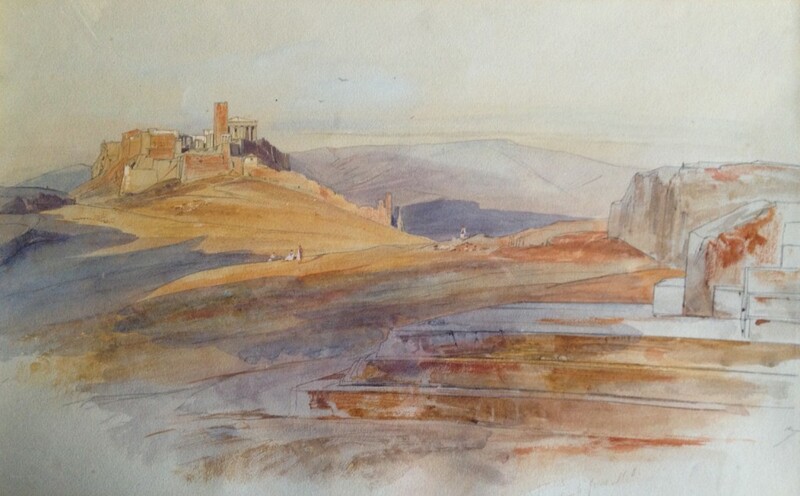 The sketches could then be worked up as finished “studio” watercolours or more ambitious oil paintings, for exhibition and sale. 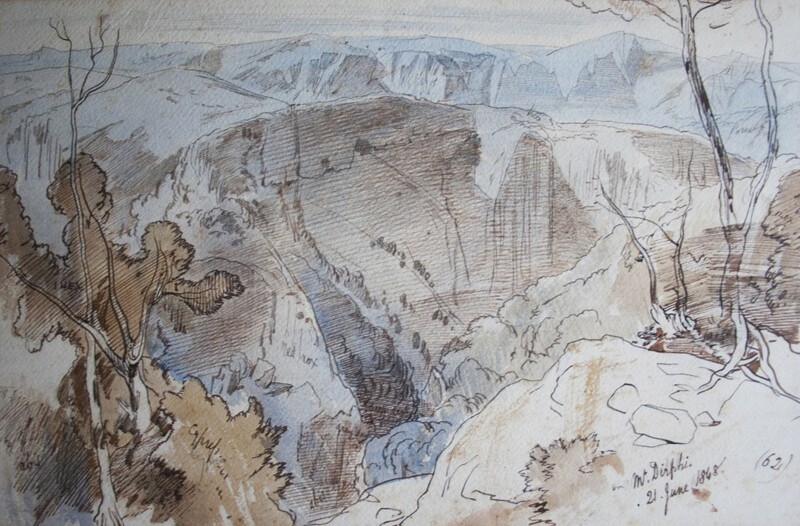 Lear’s numbered series runs from 1 to 143A, with a few unnumbered figure and flower drawings. 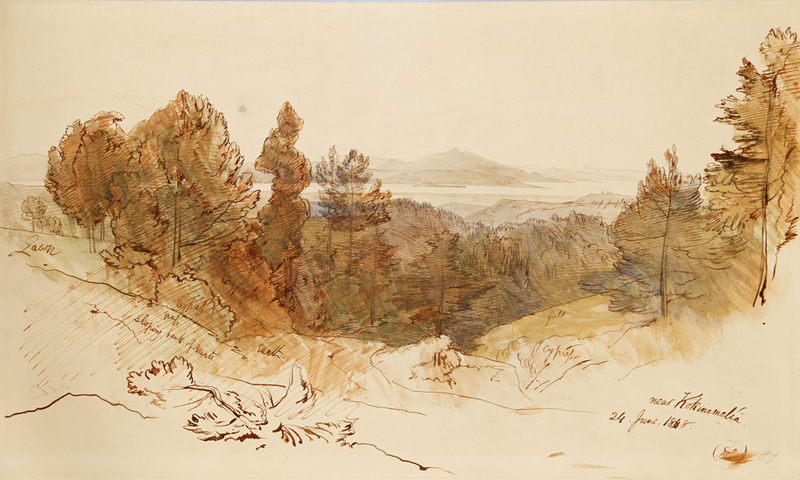 We know the present whereabouts of only 51 of the numbered series, though others are well documented from sale and exhibition catalogues. 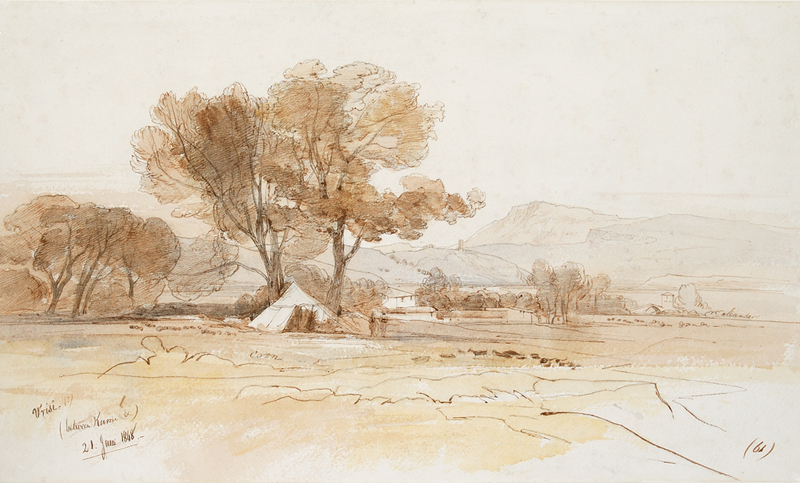 Throughout his life Lear continued to work from his original drawings; we have identified eleven studio watercolours and three oil paintings. 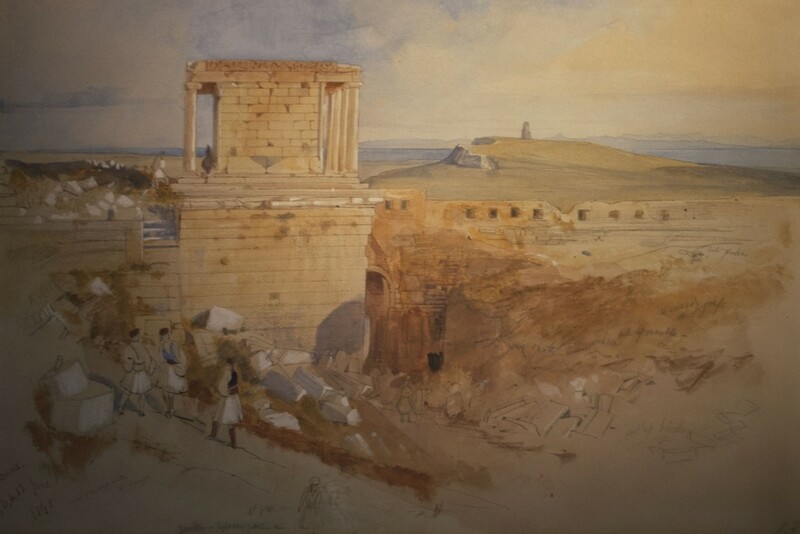 Oil was used for the most “famous” scenes: Marathon and Thermopylae, of which there is an example below. 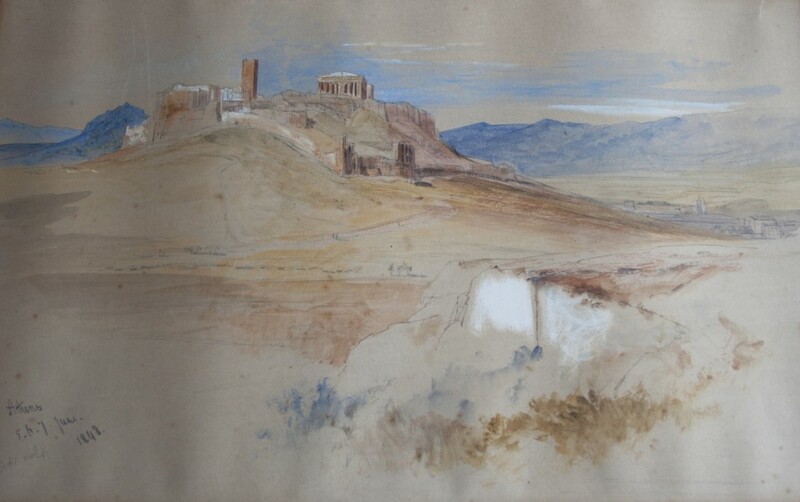 Below we have drawn together the pictures from Lear’s numbered series. 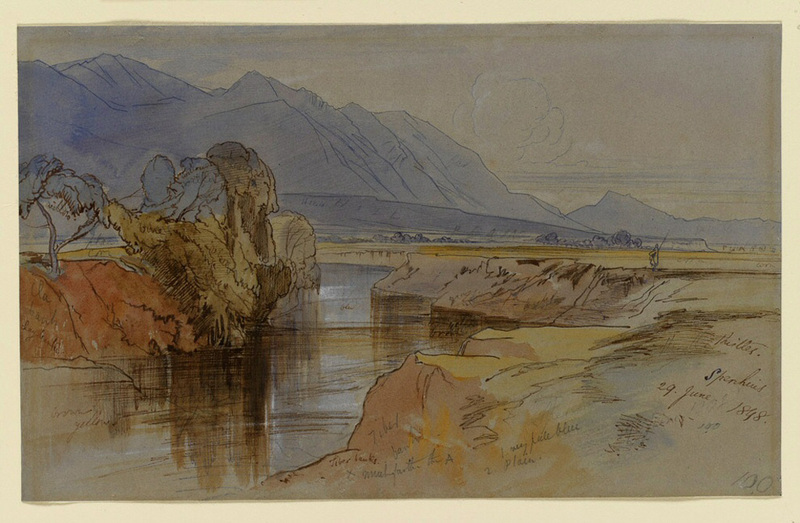 They are displayed in the order given by Lear, according to his running numbers, displayed above each image. 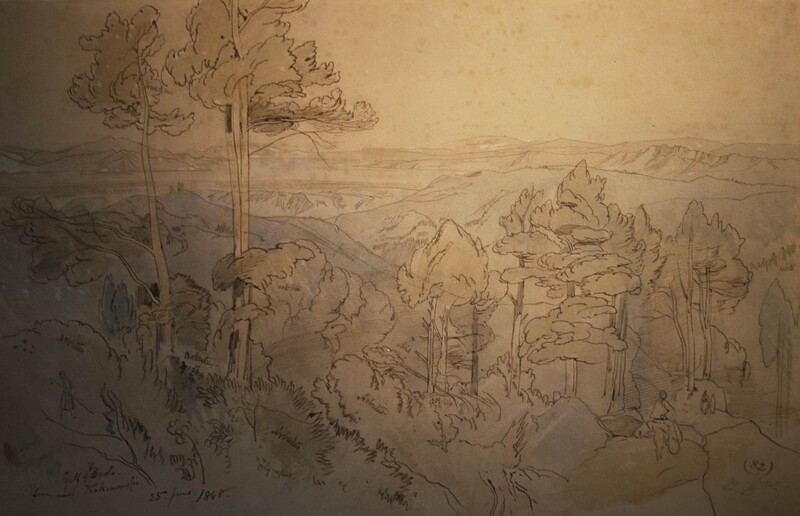 Photography by Erik Gould, courtesy of the Museum of Art, Rhode Island School of Design, Providence.